Virtual reality. It’s a thing. And, with the release of HTC Vive VR and PlayStation VR in the UK, it’s an increasingly affordable thing. But is it the future of entertainment? Facebook, Google, Sony and more definitely seem to think so. 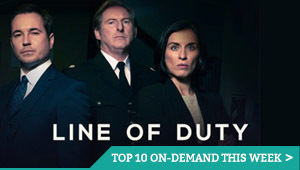 In the last year, VR has really begun to take off, with HBO and Facebook releasing a 360-degree video of the Game of Thrones opening credits, Netflix experimenting with a spooky Stranger Things experience, Sky planning to launch its own VR app this autumn and Google continuing to push supported videos on YouTube with initiatives such as its Spotlight Stories strand, which showcased a cute Christmas animation last year from none other than Aardman. With Google Cardboard giving you a makeshift headset for a couple of tenners that works with your phone, there’s never been a better time to dip your eyeballs into the VR water and see it for yourself. 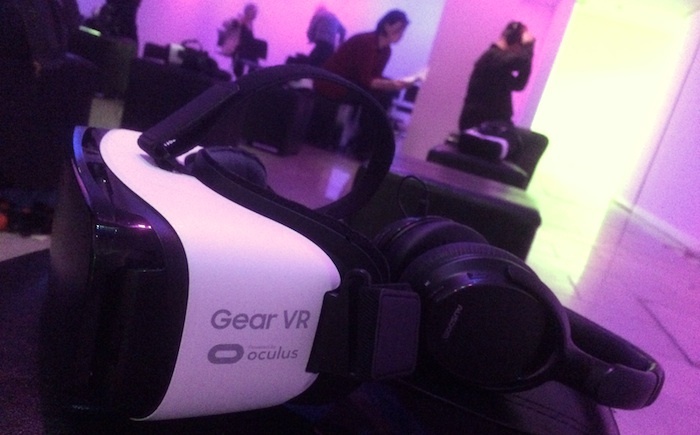 Hats off (and headsets on) to Raindance Film Festival, then, which made the smart move of introducing a VR Arcade to its line-up this year, with a room in London’s swanky The Hospital Club taken over by Raindance for the whole of the first weekend in October. It’s sponsored by Lexus, which means you get a brief talk about the car that they’ve somehow managed to get inside the building, but the real mind-boggling stuff is to come. 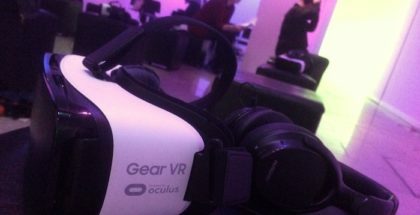 With an hour to explore, the result is the perfect opportunity for filmmakers and audiences to discover VR: comfy stools with room around each allow you to sit down and don a Samsung Gear VR headset and swivel around (or stand up) without fear of falling over or smacking someone in the face. (Or, if you’re at home with a Google Cardboard, stepping on that bit of LEGO in the middle of the carpet.) On the other side of the space, a host of standalone experiences include spacewalks and other, more active simulations. “Immersive” is the go-to word for VR and, across the wide range of films we grappled with, it’s true to varying degrees. You quickly realise, though, that it depends on both your attitude and your headset. With the ability to look around in any direction, there’s an urge to run around the world you’re being shown – it’s no coincidence that VR is mostly associated with video games. But sometimes, you can’t. 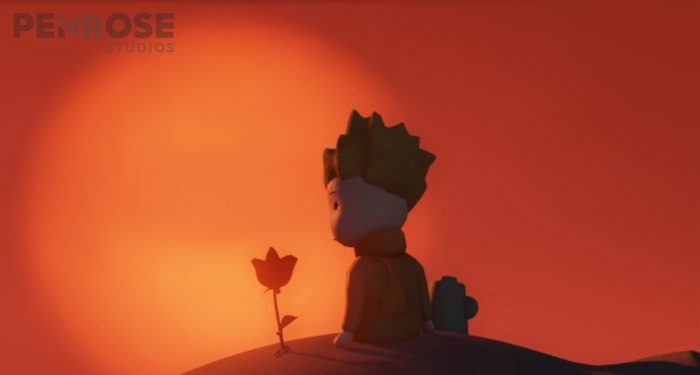 The Rose and I, which premiered in Sundance’s New Frontier section this year, is an adorable, aesthetically delightful take on The Little Prince by Penrose Studios. It sees a young boy discover a rose on an asteroid, but with a Gear VR, you can’t walk across the asteroid to see things up close – Rosebud (as this version for Samsung’s headset is retitled) is instead reconfigured to allow you to move it around using the headset’s touchpad, which is a far less involving experience. But Rosebud’s simplicity, both visually and narratively, is a remind that moving around too much can also distract from what’s in front of you, both literally and figuratively. Inside the Box of Kurios, which nabbed a Daytime Emmy Award for Felix & Paul Studios, is a 10-minute video produced with Cirque du Soleil and is a veritable variety show of bizarre contortions, costumes and tricks – something that repeatedly rewards spinning in wonder at the strangeness on display. Given the tech’s association with gaming and CGI, the partnership with Cirque du Soleil’s unnaturally flexible performers is an inspired idea. 6×9, on the other hand, is a guided tour of solitary confinement in a US prison. The Guardian’s first VR video moves you around the cell, from the wall to the ceiling to the door, using sounds and a voiceover to create a challenging, claustrophobic experience. You’re encouraged to turn your head to read statistics on the wall, but no matter how much you pivot, there’s a restrictive sense to your movement, reinforced by a screen that intentionally goes in and out of focus, making the whole thing incredibly provocative. Witness 360: 7/7, which recreates the London 7/7 bombings from the perspective of a survivor, is further proof that VR can be used not just for fun but for hard-hitting, factual filmmaking – indeed, it’s part of a whole series of similar films (VR City Original Witness 360). Director Darren Emerson allows you to gaze around carriages and station platforms, while Jacqui appears on screen to talk to us about what she went through and how it still haunts her today. Dark screens and strobing lights briefly interrupt your vision, to give an disorienting insight into what her traumatic flashbacks are like, but it’s the ability to see everyone else walking around on their daily business as if nothing’s happened that gives the movie its weight. The most astounding of all, though, is Notes on Blindness: Into Darkness. Created to be released alongside the film, which hit VOD earlier this year, it’s a string of short movies that take you through different scenes from the memory of John Hull, who recorded an audio diary when he lost his sight. Using his writing and realtime 3D animations, Arnaud Colinart, Amaury La Burthe, Peter Middleton and James Spinney craft a dazzling, demanding impression of what it’s like to be blind; a thoughtful piece that’s somewhere between an art installation and that dodgy CG bit in Ben Affleck’s Daredevil. Save this until last and you’ve got to a point where you’re happy to let the story guide your attention; noises alert you to spin around and investigate, but, with the visuals depending entirely on acoustics (sound can only be generated by actions, such as jumping, running, splashing), any pictures soon fade. It’s a poetic piece that’s packed with profound revelations, some that you’re told, some that you find out for yourself. While the idea of putting on a headset can seem like it cuts you off from the world, Into Darkness is a striking example of how VR can be a force for empathy. 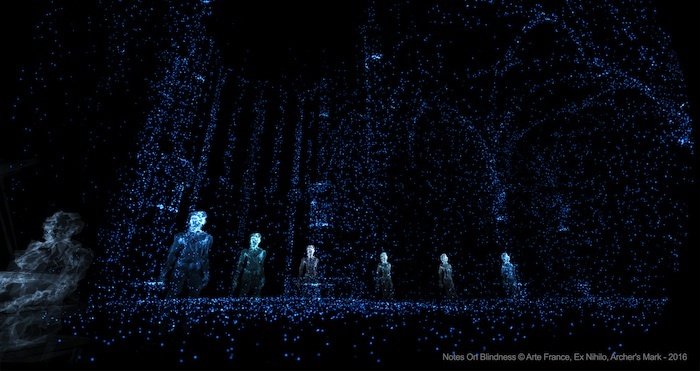 It’s mesmerising and moving experience that is truly immersive – and unlike anything else you’ve ever seen. It’s here that VR is at its most exciting: not when it’s attempting to reinvent animation, fiction or documentaries, but when it’s thinking outside the box to use the equipment to do its own thing. These are early days for the technology, with myriad unpredictable applications always surfacing, so nobody really knows where it’s headed. Would you watch a sports match in VR? Probably not. A game, where you’re already meant to move around and explore a world? Absolutely. But can it replace a film or TV show? That’s harder to say; so much of the art of visual storytelling depends on the fixed, physical perspective of the camera, on the decision of a director to present a story from a certain point of view or position. Give that control to the audience and you have a whole different format, with its own potential and its own limitations. VR may not be the future of traditional entertainment, but it’s the future of something else that’s entirely new. And that really is an eye-opener. 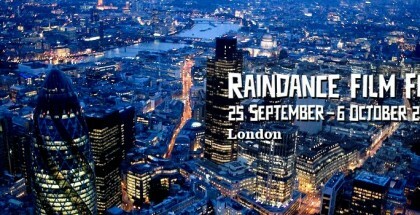 The Raindance VR Arcade, sponsored by Lexus, runs until Sunday 2nd October at The Hospital Club. To book a session, click here.